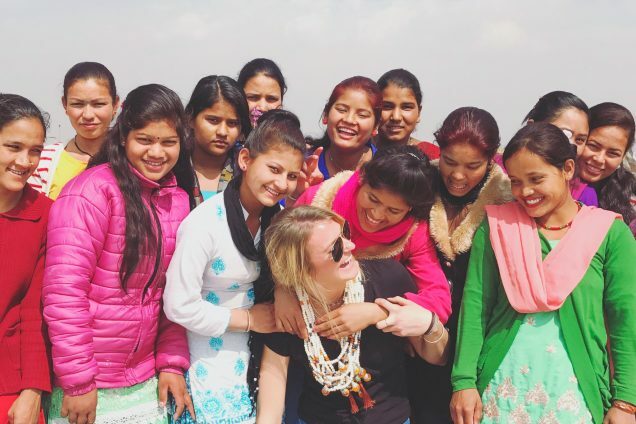 We are happy to report that on February 18th, a volunteer traveled from Houston, Texas, to visit the new group of girls currently living at our ‘She Has Hope’ rehabilitation home in Nepal. Lindsey, who is a jewelry designer, had previously visited the rehabilitation home with another volunteer in July 2016. During this trip, Lindsey taught the girls how to make long beaded necklaces with a bead crimp locking technique, stretch bracelets, and handmade tassels. They used variations of bone, wood, amber, turquoise, and clay beads which Lindsey purchased from various local market shops. In addition, she sourced many different silver pendants, silver lockets, and crosses from the local markets. However, pendants are often limited and hard to come by in Nepal, so Lindsey taught the girls a very creative technique of taking ornate beads and dangling a tassel through them, turning them into pendants. Lindsey loved that the girls were so eager to learn and would continue to practice a technique until they understood how to do it correctly. She said, “All of the girls are very bright and worked patiently with me.” The girls completed over 400 handmade creations which gave them a great sense of accomplishment and self-worth. Photo inset: (Top-left): When the girls finished making a piece of jewelry, Lindsey would congratulate them with a high five and the girls would place the necklace over her head as a “gift” to her. (Top-right): Lindsey taught the girls how to do yoga to prepare their minds and bodies for each work day, and to loosen up their bodies after long sessions of jewelry-making or sewing. 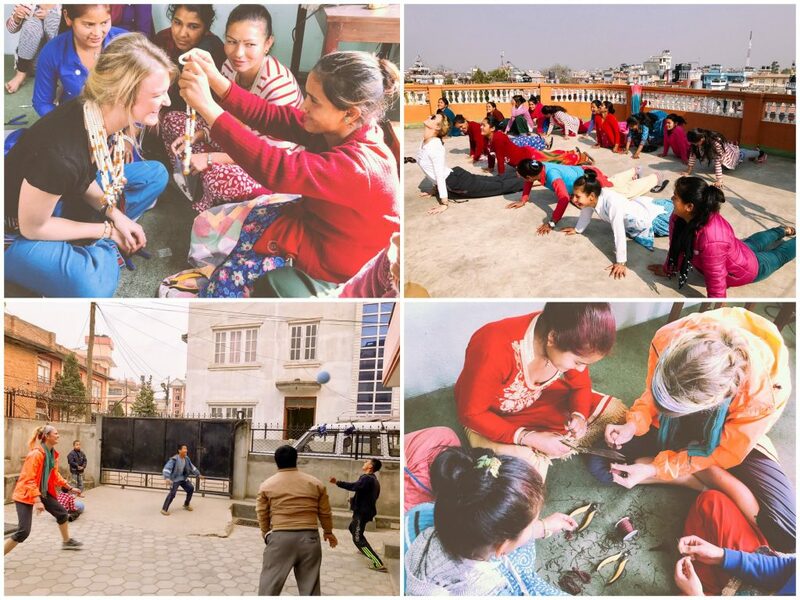 (Bottom-left): The children at our orphan home enjoyed playing soccer with Lindsey and our Nepal field director using 4 donated One World Play Project soccer balls. (Bottom-right): Lindsey taught the girls at our Nepal ‘She Has Hope’ home a new jewelry-making technique of taking ornate beads and dangling a tassel through them, turning them into pendants, which the girls thought were beautiful.